Re-engineering technological strategies in teaching and learning in an open distance learning (ODL) environment is paramount as the demand for access to quality higher education escalates drastically on a year to year basis. The organisational framework requires change in order to accommodate the increasing number of students. In view of the changing higher education landscape and the increase in the number of students qualifying for higher education acceptance, open distance education has been opened to residential institutions. Despite the fact that demands is greater than supply in the higher education sector, the University of South Africa (Unisa), in reaction to the “competitive threat,” has embarked on the re-evaluation of ODL as a component of its teaching and learning methodology. Unisa focussed on its pedagogical approaches as a primary means of maintaining its competitive edge. The challenges in the higher education sector are also attributed to the basic education sector that does not prepare students sufficiently for higher education. ODL, if applied appropriately, could be a strategy to address the issues of access, equality, and equity in a democratic South Africa. Pedagogical strategies that are functional and appropriate need to be applied in the higher education sector. Hence the research question is to determine what ODL strategies can be implemented to ensure that students are on par with traditional universities. 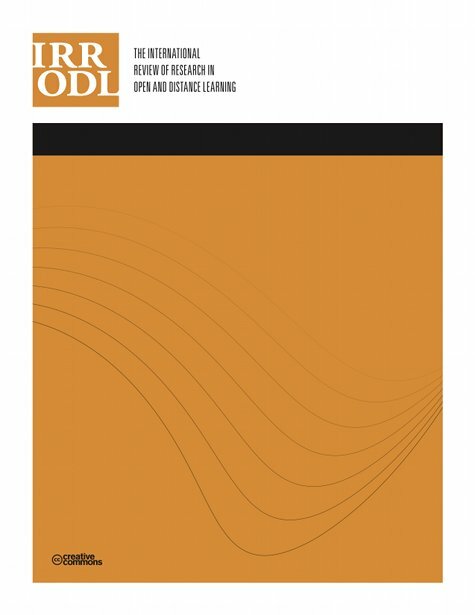 Therefore, this paper explores the pedagogical strategies that colleges may use with the intent to improve delivery of teaching and learning in an ODL environment. Ramdass, K. & Masithulela, F. (2016). Comparative Analysis of Pedagogical Strategies Across Disciplines in Open Distance Learning at UnisaODL at Unisa. The International Review of Research in Open and Distributed Learning, 17 (2),. Athabasca University Press. Retrieved April 20, 2019 from https://www.learntechlib.org/p/172167/. Garrison, D.R., & Anderson, T.D. (1999). Avoiding the industrialization of research universities: Big and little distance education. American Journal of Distance Education, 13(2), 48-63. González-González, I., & Jiménez-Zarco, A.I. (2014). The MOOC phenomenon: the current situation and an alternative business model. ELearn Center Research Paper Series, (9), 26-33. Grimmelmann, J. (2012). The merchants of MOOCs. Seton Hall Law Review, Forthcoming, 2014-2016. Hara, N., Bonk, C.J., & Angeli, C. (2000). Content analysis of online discussion in an applied educational psychology course. Instructional Science, 28(2), 115-152. Herbst, P., & Kosko, K. (2014). Mathematical knowledge for teaching and its specificity to high school geometry instruction. In Research trends in mathematics teacher education (pp. 23-45). Holmberg, B. (1989). Key issues in distance education: An academic viewpoint. European Journal of education, 24(1), 11-23. Hrabowski, F.A. (2014). Institutional change in higher education: innovation and collaboration. Peabody Journal of Education, 89(3), 291-304. Hrabowski, F.A., Suess, J., & Fritz, J. (2011). Assessment and analytics in institutional transformation. Educause Review, 46(5), 14. Moore, M. (1990). Recent contributions to the theory of distance education. Open Learning, 5(3), 10-15. Peters, O. (2000). The transformation of the university into an institution of independent learning. Changing University Teaching: Reflections on Creating Educational Technologies, 6(7) 10-23. Peters, O., & Keegan, D. (1994). Otto Peterson distance education: The industrialization of teaching and learning: New York: Routledge. Piaget, J., Cook, M., & Norton, W.W. (1952). The origins of intelligence in children (Vol. 8). New York: International Universities Press. Salmon, G. (2014). Learning innovation: A framework for transformation. European Journal of Open, Distance and E-Learning, 17(2), 220-236. Salmon, G., & Wright, P. (2013). Transforming future teaching through a Carpe Diema earning design. Education Sciences, 4(1), 52-63. Sherow, S., & Wedemeyer, C.A. (1990). Origins of distance education in the United States. Education at a Distance: From Issues to Practice, 4(3) 7-22. Spalding, E., Wilson, A., & Mewborn, D. (2002). Demystifying reflection: A study of pedagogical strategies that encourage reflective journal writing. The Teachers College Record, 104(7), 1393-1421. Wedemeyer, C.A. (1971). Independent study. The Encyclopaedia of Education, 4, 548-557. Westera, W. (2004). On strategies of educational innovation: Between substitution and transformation. Higher Education, 47(4), 501-517. Heydenrych, J.F., & Prinsloo, P. (2010). Revisiting the five generations of distance education: Quo vadis ? Progressio, 32(1). Northedge, A. (2003). Enabling participation in academic discourse. Teaching in Higher Education, 8(2), 169-180. Moore, M.G., & Kearsley, G. (1996). Distance education: A systems approach. Boston, MA: Wadsworth. Henri, F. (1992). Computer conferencing and content analysis (pp. 117-136). Berlin: Springer. Peters, M. (1997). Education and the postmodern condition. Westport: Praeger Publishers. Moore, M.G. (1991, May). Theory of distance education. In Second American Symposium on Research in Distance Education, (22). Keegan, D. (1993). Reintegration of the teaching acts. Theoretical Principles of Distance Education, 113.